The United Shipbuilding Corporation expects to launch the second serial icebreaker “Ural” on the 24th of May. It was reported to journalists by the head of the corporation Aleksey Rakhmanov. “On the 24th of May, I hope, we shall launch the second serial icebreaker “Ural” to water. And, accordingly, we are waiting for issue of all the main normative documents on the beginning of construction of the third and the fourth serial LK-60 icebreakers in the near future at the platform of the Baltic Shipyard”, Rakhmanov said. He also said that this summer the icebreaker “Arktika” would complete loading of nuclear fuel, and in December it is planned to start its sea trials, as TASS reports. “Work of the delivery team, testing of all systems, mechanisms will be next. We hope that the icebreaker will be able to show what it is capable of within testing and carrying out sea trials and further ice tests. The final transfer of the vessel to the customer is planned for May of 2020”, said Aleksey Rakhmanov. He adds that the work is being conducted according to the schedule. According to the earlier information given by the head of Rosatom Aleksey Likhachev, till 2030 it is planned to form the fleet that will allow conducting year-round icebreaking support of ships on the Northern Sea Route. In particular, it will include new icebreakers of the series 22220 “Ural”, “Sibir” and “Arktika”. 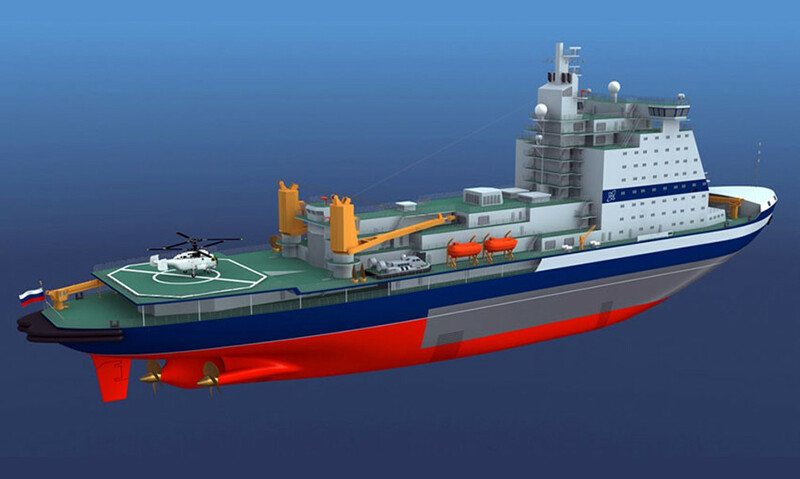 In total, it is planned to create five such icebreakers.